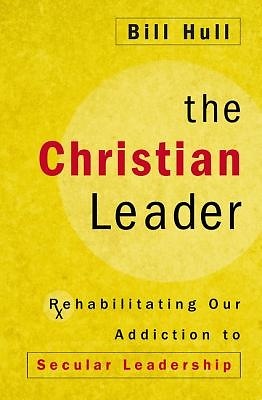 From the author of the bestselling book The Disciple-Making Pastor comes a call to Christian leaders to let go of their addiction to secular models of leadership rooted in pragmatic success. Most leadership literature talks about having the right kind of leadership personality. You know the type: big-picture visionaries who serve others and get the best out of people. But the popular pattern of doing what works and getting rewarded for it is actually the enemy of Christian leadership. It thrives on making our work impersonal and exploitive. Far too often, it serves the leader rather than those the leader leads. Sadly, this pattern dominates Christian leadership in the West. We need a different style of leadership--one patterned after Jesus. Jesus influenced others because of who he was, not because he was well-known or a person of power or because he had mastered a set of skills or implemented an effective leadership strategy. He could have completed his mission living in your house, driving your car, married to your spouse, working at your office, and raising your kids because leadership comes down to character. Many who aspire to leadership are looking for the right circumstances so they can lead. Many in positions of leadership find it difficult to lead because of obstacles, such as a lack of funds, authority, and or confusion about methods. Jesus faced all of these, and more, yet he accomplished his mission. This is not a book about improving Christian organizations; it is about changing how Christians lead. It is for anyone with a megaphone, a platform to speak, who wants to lead others in being a witness for truth. It is for people with a pulpit, whether that pulpit be a business or a position of influence in a domain of the culture: entertainment, sports, politics, industry, the arts, academia, or religion. If you are someone to whom others listen--this book is for you. Each chapter begins with a title and statement about Jesus' life. Jesus was a different kind of teacher. The Pharisees focused on doing the right thing. Jesus emphasized becoming the kind of person who wants to do the right thing. Others taught the importance of doing good; Jesus taught how to be good. He didn't teach behavior modification alone; he taught how to change the sources of behavior. Knowing how to lead others begins by seeing Jesus as your leader.